It was week number four at The Voice 2013 and seven more singers tried their hardest to impress our four judges Jessie J, Sir Tom Jones, Will.I.am and Danny O'Donoghue and make them turn their chair. The first artist to perform in the latest episode was Alice Fredenham, a former Britain's Got Talent contestant, who sang 'Lady Is A Tramp' by Frank Sinatra. Unfortunately her version failed to make an impact on any of the judges. Sarah Cassidy instead managed to turn three chairs and to cause a little argument between Jessie J and Danny, who wanted her in their teams. The Scottish model hoped to join Will.I.am, but ended up teaming with Jessie, after he did not show an interest for her. Bitter for his mistake, Will did not miss the chance to spin his chair for guitar player Emily Worton, even if that meant playing a tactical game with Danny O'Donoghue. Things did not go as expected for Tourette's syndrome sufferer Nick Tatham, whose choice of song, Kenny Loggings' Footloose failed to wow the judges. As Jessie J explained it is paramount for an artist to choose the right song for her voice, which he obviously did not do. Laura Prescott and Tom Gregory also got rejected by the panel for performing the judges' own songs, but it was a different story for L.B. Robinson that conquered Sir Tom Jones, after singing a special personal version of 'She's A Lady'. 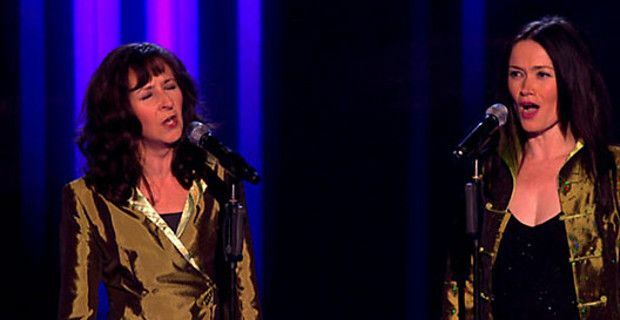 Duo Barbara and Carla surprised the coaches by singing 'The Flower Duet' from the opera Lakmé, which caused Will.I.am to immediately press the buzzer. More hesitant Danny and Jessie, who seemed a bit insecure about what to do with the talented ladies. Eventually all four judges spun their chairs, but just Will got the upper hand. David Kidd, Tom Jones tribute act, tried to impress his hero without revealing his character, but after being rejected, he disclosed himself and managed to get Tom on the stage with him. Jessica Steele, whose performance did not prove successful with the judges, broke down in tears and got Jessie J running to comfort and reassuring her, promising that by following the coaches' advice and with hard work she might be ready to come back the next year. Laura Oakes conquered a place in team Danny by singing 'Spectrum' by Florence + The Machines, while semi-pro singer Karl Michael gave his last shot with a marvellous performance of 'No more I Love You' that made first Will.I.am and then the rest of the judges spinning their chairs. Karl decided to join Danny as he felt more related to the Irish singer.